So if your not into betting then you might want to click of this post now, but today at the MMA Gateway we are talking about UFC Betting Tips and little strategies that I have found to be effective in my life for making me good profit margins consistently through betting on MMA bouts. Now I’m not going to pretend to be the greatest person at betting in the world but I know I’m decent, so if you want to to have solid returns with your betting on MMA fights then keep reading this article. Honestly there is a million combat sports tipsters out there, but ultimately you have to be comfortable with whatever system you have found that works for you – maybe if you employ some of my tips your gains might get even higher! Luck exists and in my experience it can be built up, so lets get lucky together with our MMA fight picks! Stick to the script unless you see a clear upset. When it comes to MMA or any sport for that matter while upsets can and do happen, especially in MMA because of the chaotic nature of the sport – but when it comes to putting your money on the line there are many wealthy betting tipsters who swear by “playing the favourite”. You have to realise that the odds you see on different betting platforms online or in your local bookies, are set at specific prices for specific reasons and a favourite is always a favourite for a reason, no matter how slim or wide the margins are. Its easy when your betting as a novice to just focus on putting your money on the biggest odds you can find, chasing underdog picks that will rarely come in. In MMA anything can happen, and underdogs do win surprisingly a lot on some fight cards, but at the end of the day some fighters just have a style that automatically negates certain other fighters skills – for instance if a professional boxer fights in MMA he will always have that advantage, but if he fights another fighter who also is a pro boxer, but also is an Olympic Wrestler or a Jiu-Jitsu black belt, then the guy with more variety of high level skills, has more ways to negate his opponent statistically. That was one of the situations I’m talking about, where I had the strong vibe that the underdog would win, based on logical reasons, not chasing the underdog just for the sake of greedily chasing higher odds. How closely are you watching the fight live? Seriously guys the power of live betting in MMA is very helpful I find, if used wisely it allows you to have an extra doorway to see how this fight will unfold. Also live betting can be useful to cover a bad bets – if you make a pick before the fight but then as the fight goes on you can see your fighter is not going to win short of a miracle KO shot or hail Mary submission – then with a live bet you can make that covering bet so to speak. Sometimes certain kinds of fights can follow a type of narrative script and with the more fights you watch, then the sharper your eyes will be able to get at spotting definite shifting moments in a fight. For instance sometimes a guy can get hit in a certain way in a striking exchange and his legs begin to give way, or get shaky, his legs get close together, or he starts backing up and goes for an unset up panic take down- these can be clear signs of a fighter getting close to being knocked out for example. Or When you see a fighter get up after a grappling exchange taking huge deep breathes, mouth wide open, struggling to keep their arms up to protect themselves, these are signs that the fighters cardio is beginning to dramatically decline. So keep your eyes close to the fight in real time, because its always a big key to success. Are you sure you can afford that bet? If that question even comes into your head for a minute then you know that you cant really afford to make that bet – always make sure that you can financially afford to support yourself and family/friends before you place any bets. So very simply what I’m saying here is if you are struggling to pay the bills, then its likely not the right time to place any bets of any size, but if you adjust things ok then maybe you can afford £5-20 a month on bets. Also if you go on a bad run of form, then always consider downsizing your bets until your build your betting form back up and thus your confidence to make bigger bets. But Always, Always, Always MAKE SURE you only bet what you can afford to lose ultimately, whatever scale of money you can place bets on. Personally I place bets anywhere from as little as £5 to as much as £1,750 being my largest single bet, which luckily won! No matter how sure you are – expect the unexpected. But its MMA guys, so always know that the unexpected can occur at anytime, betting is not for the feint of heart – you need to be brave if you want to do it and its really not for everybody. So be honest with yourself, and realise that you will make incorrect fights picks sometimes, it happens, but if your system gives you more wins then losses – then you will always be laughing. Trust your instincts, but be statistical as well, don’t put yourself in stupid situations, make sure you can afford to lose what your betting and always keep it fun! So I hope these UFC betting tips will help you in the future, and if you enjoyed this post then please leave a comment below. 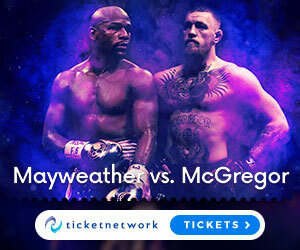 The article on UFC Betting Tips is quite detailed in the application of the procedures, in the motivational speeches and in the application of these comportamnet positioning of the seen and unseen attributes that lead them to the conclusion of a well-deserved victory, which are based on many difficult and intensive trainings. Marley Dawkins good looking forward to winning the matches, I wish. Hi Catalin, thank you for that interesting perspective – emphasis on common sense when your making your UFC bets bro lol. Also if you want to training yourself then try these AWESOME Gloves! I found this article to be interesting and informative. I haven’t done much betting on MMA but I have done a lot of betting on football, and boxing. I definitely understand what you are saying about betting on the favorite, unless you see some type of a mismatch. One thing I haven’t done is live betting. To be honest, I didn’t even know that it was really an option. How do you go about placing live bets and what type of payouts do they usually offer? Hi buddy, glad you liked this post and you can see the logic – yeah live betting can make a huge difference to your returns and especially in the fight game, it gives you an ability to see when someone is getting overwhelmed and take your position accordingly, the odds do drop quickly on live bets though! Have you heard of Darren Till before? He is always safe money for betting on a UFC fighter.